The Partagas Serie No.1 is the 3rd Limited Edition cigar from 2017, along with the Cohiba Talisman and the Punch Regios, a creamy Robusto Extra. 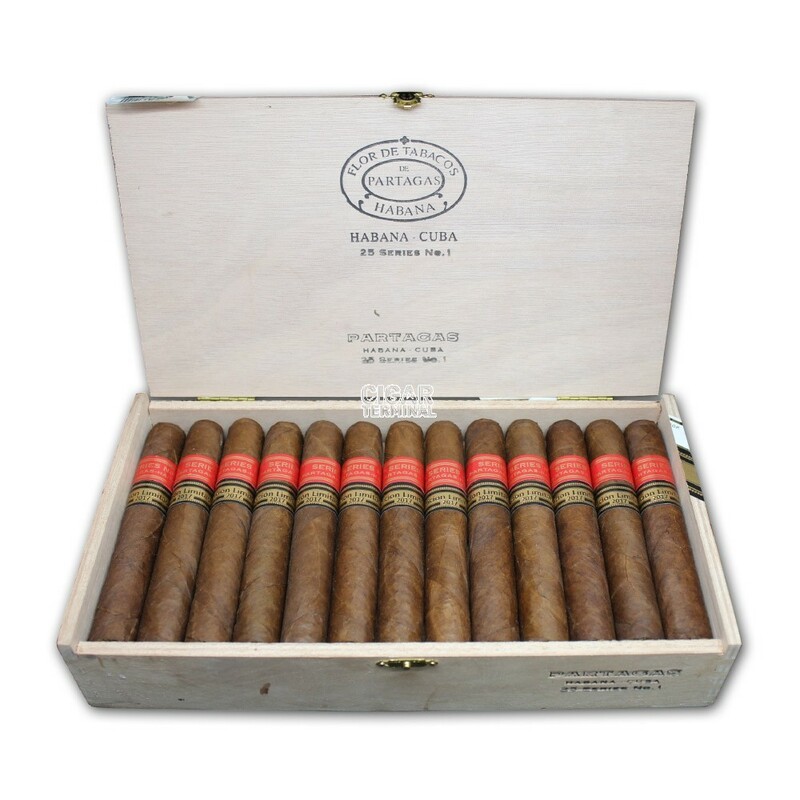 • Not overly complex, despite being still a young cigar. 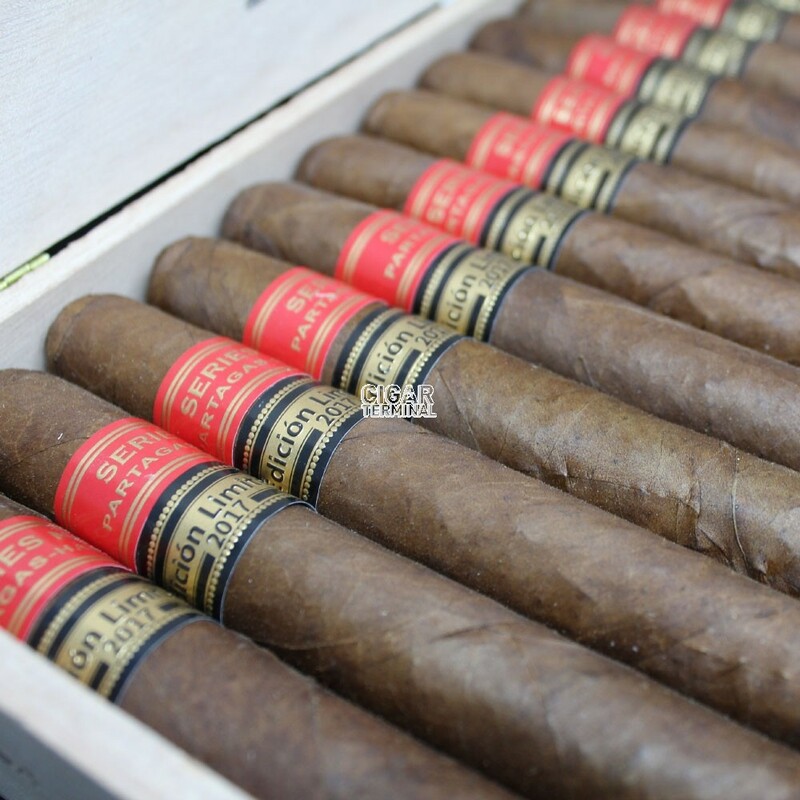 The Partagas Serie No.1 Limited Edition 2017 comes in a Semi Boite Nature Box of 25 cigars with Habanos packing code SBN-UW-C/L-12,13-n-25. Being part of the 2017 Limited Edition series, the Serie No.1 carries an elegant secondary black and gold band where it is written Edicion Limitada 2017. The cigar itself looks great, with a dark brown wrapper, very smooth to the touch and with a fair amount of oil on it. The triple cap is perfect, so appears to be the construction of the cigar, it is well packed from the head to the foot, and despite an apparent vein on the wrapper that we have smoked, for the rest of the box, the veins are all very small and the overall look is stunning. The aromas off the Serie No.1’s wrapper at cold are of dark chocolate, with some sweet notes of molasses. The cold draw is perfect and gives some earthy notes. Once lit, the cigar starts off strongly, with powerful earthy flavors, but that quickly subsides and settles down with some glorious leathery and chocolate notes. Right from the get go, the Serie No.1 generous clouds of thick smoke. Lots of spiciness as well in the first third, with some notes of chili pepper and of paprika. There are also hints of nuttiness and raisins. Overall the cigars smokes very well for a young cigar and is hitting the mild-medium mark after the first couple of puffs where it was at the medium-full mark. No issues with the burn, the ash builds up nicely at the foot in nice grey layers. In the second third, the cigar evolves slightly and along with the leather, warm earth and raisins, there are now ample notes of charred coffee beans, roasted meat, wood and chocolate. Overall, the cigar remains very smooth and just under the medium mark. The spiciness has completely receded after the first part of the cigar. The burn becomes a bit wavy in the middle section, mark of a young cigar. The cigar remains creamy and smooth in the final part, the flavors do not evolve massively from the middle third, but they are all well balanced, with perhaps more noticeable coffee flavor. As one could expect, some notes ammonia and herbal tones reveal it’s young age, but nevertheless shows a very good profile. The cigar remains cool when burning until the end. In summary: an impressively smooth Limited Edition Partagas cigar which should only get better with some age.